Wash carrot and chop into thin pieces. Peel oranges, mangoes and papaya, and deseed. Cut the fruits into small pieces. Put all prepared fruits into juicer and juice. The final drink has a perky taste – sweet and sour – and is really tasty! You may use other fruits or vegetables as you wish. Remember the red and orange coloured ones will give you beta-carotenes, which is a precursor of vitamin A. 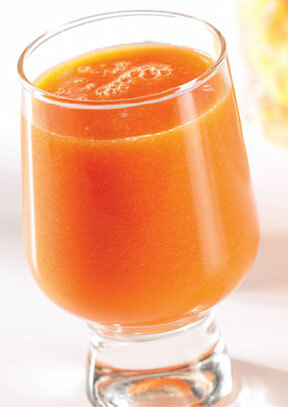 For more fibre, use a blender instead of a juicer.